Picture the scene: North Wales, the seaside town of Rhyl on a sunny Whitsuntide Monday in 1885. Outside the Royal Hotel a group of cyclists from clubs in Rhyl, Oxford, Denbigh, Huddersfield, Mold, Liverpool, Holywell, Bangor, Manchester, Birmingham, Bethesda, Wrexham, and Ruthin set of in procession, the Rhyl Cycling Club captain, Mr Smith, at their head on a 58 inch penny-farthing. After following a route that took them through the main thoroughfares of Rhyl the cyclists stopped in front of the Royal Hotel for a group photograph and then sat down to a substantial tea. The rapid development of the bicycle in the 1870’s and 1880’s saw cycling clubs spring up across Britain as cyclists sought opportunities to race and to socialize. One such club was Wales’ first cycling club, Rhyl Cycling Club, founded in April 1879 as the Rhyl XL Bicycle Club at a meeting held in the Reynolds’ Assembly Room. Annual subscriptions were 5 shillings with entrance at 2 shillings and sixpence. Like many middle class clubs Rhyl CC formed part of the social fabric of the town, organizing and taking part in events throughout the year. The club’s annual balls and picnics became popular features of the town’s social calendar as did the annual sporting events arranged around public holidays. 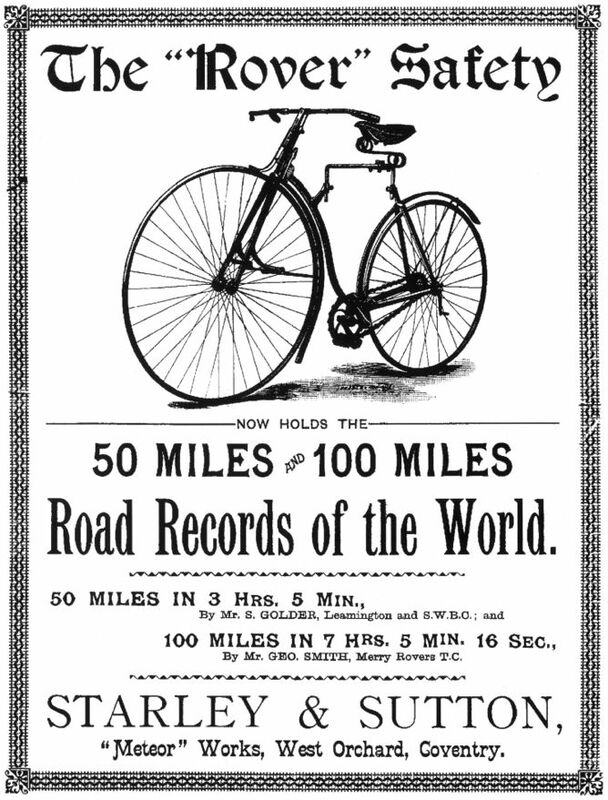 An advertisement for Starley’s 1885 Rover Safety bicycle. A distinct feature of the club was its penchant for fancy dress at every opportunity. The annual Masquerade Ball organised by Rhyl CC was an opportunity for the members to display their inventiveness with costume and regularly attracted several column inches from the local press. Such was the high regard for the club in Rhyl that they had the honour of leading the town procession celebrating the royal wedding in 1893 with members variously dressed as Robinson Crusoe, a Sioux brave, Robin Hood, Richard III, Buffalo Bill, an old Welsh Woman, and a Mongolian, among others. Passion for fancy dress loomed so large that, rather than making the silver cup presented to the club by Mr P. P. Pratt a sporting prize, the club’s general meeting held at the Royal Hotel on April 20, 1896, decided that it should be awarded to the most original home-made costume on show during the May Day celebrations. 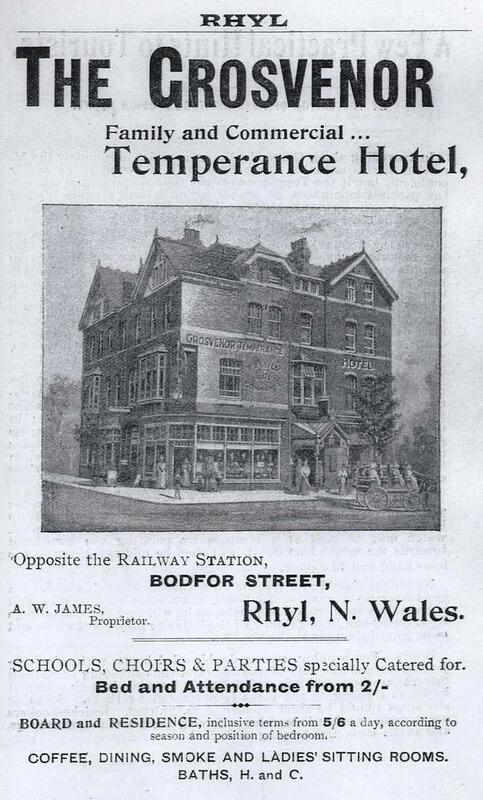 Typical of the club’s social activities was the annual Cyclists Ball, held variously at the club’s first headquarters at the Royal Hotel, and later at other venues in Rhyl. 1888 saw a typical evening of entertainment with the ballroom decorated with Chinese lanterns and flags, the club members in a kind of cycling costume, and the ladies in rich and elegant attire. Refreshments were served and a programme of 24 dances began at 9 p.m. and continued into the early hours. Another popularly attended function organised by the club was the annual picnic at Cefn Caves where guests were provided with a substantial Tea, and enjoyed games, music and dancing. Cycling too had its social dimensions. Rides to Liverpool and back took place over a weekend with the participants taking the opportunity to visit the theatres, pantomimes, music halls and opera. The Easter tour was a four day jaunt around North Wales, and club officials regularly arranged rides in which the main focus of the day was the tea or picnic provided by the host. More serious cycling revolved around regular club runs and racing. Club runs were organized throughout the year with attendance varying depending on season and availability. Thursdays and Saturdays were the most common days for the club runs, with the destinations of each ride decided well in advance and publicized through the local press. The bread and butter of any club, the runs were also a cause for contention among members. Non-attendance by club officials raised comment, while in turn officials resented being blamed for low turn-out. The issue of club members competing for club medals whilst not attending club runs led to changes in the clubs rules that required a minimum length of membership in order to be eligible. A further rule change required that members must have participated in a minimum of 12 club runs during the 12 months prior to any medal event. As a National Cyclists’ Union (NCU) affiliated club there were limitations on the racing Rhyl CC could organize and participate in. The advent of cycling as a popular activity had raised opposition in many quarters to such an extent that bicycles narrowly escaped from being banned from the roads under the Highways and Locomotives (Amendments) Act 1878. Under the act County authorities were given the power to pass byelaws to regulate the use of bicycles. Fearful that friction between cyclists, other road users, and the general public might lead to an outright ban on cycling the NCU actively discouraged road racing, choosing instead to promote racing on the track. 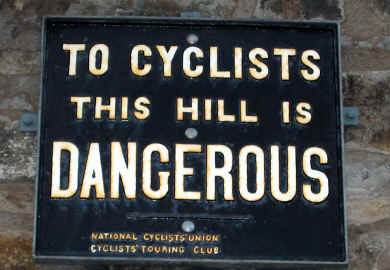 In 1890 the NCU banned all racing on roads by its members. Racing at Rhyl largely followed the diktat of the NCU. Track events were organized around public holidays, being a feature of the day’s entertainment, and were regularly held at Whitsuntide, May Day, and the August holiday. A typical event would include several races, some open to club members only, others open to all comers, with a variety of prizes on offer that over the years included clocks, watches, bronzed jugs, pencil cases, and a number of silver plated marmalade dishes. The event that marked the opening of the Rhyl Palace and Summer Gardens on May 21, 1888, was typical of the track racing organized by Rhyl CC. It began at 12 p.m. with a procession in single file through the town led by club captain, Mr W. H. Pigeon, followed by a series of races that began at 2:30 p.m. Winners prized included a marble time piece, salad bowls, a silver plated cup, a dressing case, a set of studs, an umbrella, and a pencil case. The club captain covered himself in glory, winning the Inter Club Contest, the One Mile Open Handicap, the One Mile Club Race, and the Obstacle Race. The latter involving the competitors carrying their bicycles over two flights of hurdles on each lap. Road racing did occur but frequently took place in a format akin to the modern time-trial in which cyclists covered a specified distance alone. The annual 100 mile race was typical. Organised on a handicap basis riders set off at different times. The winner being the one who covered the distance in the shortest time after the handicap was taken into account. In 1887 the Rhyl Cycling Club’s 100 mile bicycle race was run from Rhyl to Preston Brook and back. Riding as individuals Messrs F. Pigeon, F. Allen, F. Hughes, and C. Connah set off at staggered times between 7:15 a.m. and 8 a.m. The winner, Mr Hughes, making it back to Rhyl at 5:51 p.m in what was considered as one of the foremost cycling feats of the season, especially so when the blustery North Wales conditions were taken into account. The annual Challenge Cup race over 20 miles was another fixture of the club’s year and was also run as a handicapped race. As with the club’s medal events, the Challenge Cup was a source of umbrage for some riders who resented the participation of members who had not been active on club runs. A particular source of pride for Rhyl CC was the holding of all four North Wales Road Records in the person of Mr Charles Connah who between September 30, 1894, and August 20, 1895, took the 12 hour record, the 50 miles, the 100 miles and the 24 hour record, covering a total of 256 miles in the latter. A scratch man, Connah was also successful on the track, winning over 60 prizes in his racing career. Connah appears to have been a driving force in the club for much of its existence and the decline of the club’s fortunes from 1900 onwards coincide with a downturn in his own. The sudden death of his wife in 1905 and his bankruptcy in 1906 mark the end of his interest in the club and the demise of the club itself. Despite cynics proclaiming the death of the club in 1900 the club reported that it was still in an excellent financial position in 1903 and continued to organize rides and social events. The Cycling News & Gossip” columnist for the Rhyl Journal comment that, “there is little doubt that the old charm of cycling is becoming less appreciated … and 1903 will be the motor cycle year,” was full of presentiment however. The column disappears from the pages of the Rhyl Journal after its last appearance in November, 1903, being replaced with “Cycling and Motoring News” in 1904, while reporting of Rhyl CC activity all but disappears from its pages and those of the Rhyl Advertiser and Record from 1902 onwards. No doubt the increasing popularity of motoring played its part in the demise of Rhyl CC but perhaps more significant is the fact that on average most organisations and businesses only survive the working lifetime of their founders and principal officers. Charles Connah had been instrumental in founding the club in 1879 and it is perhaps no coincidence that Rhyl CC did not long survive the end of his involvement in the club. As an institution Rhyl CC encapsulated the society in which it operated, reflecting the interests and ideals of its mainly middle class membership. Through its balls and picnics Rhyl CC played an important role in the social activity of Rhyl, while its members racing activities were to the credit of club. Today a new club carries the name of Rhyl Cycling Club and continues the tradition of cycling in Rhyl. By happy coincidence it was formed in 1978, nearly one hundred years after its predecessor. Like its forebear, Rhyl CC continues to organize and participate in road and track races. One of their former members is Dave Brailsford, the mastermind behind the success of Team GB at World and Olympic track racing and the Tour de France victories of Bradley Wiggins and Chris Froome. Charles Connah would no doubt be pleased. Unfortunately I haven’t yet been able to find a single photograph of Rhyl Cycling Club or its members. The only thing I have discovered is this film of the royal visit to Rhyl in 1902. It was filmed by Arthur Cheetham, a member of Rhyl CC, and does include a few seconds of a man walking his bicycle at 2:32 … perhaps he was also a club member. “Meet of cyclists,” Rhyl Advertiser, May 30, 1885, 3. “Bicycle club,” Rhyl Advertiser, May 3, 1879, 3. “Masquerade ball at Rhyl,” Rhyl Journal, February 2, 1985, 2; “Cycle masquerade ball,” Rhyl Record and Advertiser, February 13, 1897, 5. “The royal wedding: a loyal pageant at Rhyl,” Rhyl Journal, July 8, 1893, 2. “The cycling club and May day,” Rhyl Journal, April 25, 1896, 2. “Cyclists ball,” Rhyl Record and Advertiser, January 7, 1888, 3. “With the Rhyl cycling club at Cefn caves,” Rhyl Record and Advertiser, April 25, 1896, 5. “The Rhyl cycling club at Liverpool,” Rhyl Journal, March 23, 1895, 5; “Rhyl cycling club: annual pantomime run to Liverpool,” Rhyl Journal, January 30, 1897, 2. “Cycling club,” Rhyl Journal, June 30, 1900, 2. “Cycling notes,” Rhyl Journal, November 13, 1987, 2. “Annual meeting of the Rhyl Cycling Cub,” Rhyl Journal, December 26, 1986, 5. “Rhyl cycle club: quarterly general meeting,” Rhyl Journal, November 24, 1984, 6. “Cycling Club,” Rhyl Journal, June 6, 1986, 2. United Kingdom. Highways and Locomotives (Amendments) Act, 1878: 26(5). “The meet of cyclists and sports,” Rhyl Record and Advertiser, May 26, 1888, 4. “The 100 miles bicycle race,” Rhyl Advertiser, October 15, 1887, 3. “Rhyl cycling club,” Rhyl Journal, November 21, 1896, 3. “North Wales road records,” Rhyl Journal, October 6, 1894, 5; “North Wales road records,” Rhyl Record and Advertiser, August 24, 1895, 4. “Men of mark in the cycling world,” Rhyl Record and Advertiser, October 23, 1897, 8. “Men of mark in the cycling world,” Rhyl Record and Advertiser, October 23, 1897, 8; Advertisements, Rhyl Record and Advertiser, December 22, 1888, 4. “Sudden death of Mrs Connah,” Rhyl Record and Advertiser, February 4, 1905, 5. “The affairs of Mr Charles Connah,” Rhyl Journal, July 21, 1906, 4. “Cycling picnic notes,” Rhyl Journal, April 28, 1900, 6. “Rhyl cycling club,” Rhyl Journal, February 7, 1903, 8. “Cycling news & gossip,” Rhyl Journal, January 24, 1903, 4. Cycling news & gossip,” Rhyl Journal, November 21, 1903, 8. “Cycling and bowling at Rhyl,” Rhyl Record and Advertiser, April 2, 1904, 5. “Cycling club,” Rhyl Journal, April 16, 1904, 7. “Cycling club,” Rhyl Journal, February 17, 1906, 4. “Cycling club,” Rhyl Journal, June 11, 1910, 5. “The official website of Rhyl Cycling Club,” https://www.sites.google.com/site/rhylcyclingclub/ (accessed September 25, 2014). BTW I love European road racing especially the Grand Tours. Cycling has been my sport since 1989 when a friend insisted I watch Le Tour that evening after a conversation in which I said that watching cyclists ride along a road must make for boring TV. How wrong was I. If I remember rightly from your Fab Five you’re a Lemond fan, so you’ll know that was the year that Greg won Le Tour by 8 seconds with his effort during the final time-trial. Immediately hooked, I bought a second hand Raleigh racer two days later and have been cycling ever since. Initially I was going to write about Welsh cycling champion Arthur Linton but the discovery of the National Library of Wales digital newspaper archive opened up a treasure trove of research material. When I discovered that Rhyl CC laid claim to be the oldest cycle club in Wales I realised I’d found my subject for my first cycling related blog. I love that LeMond inspired you take up cycling ! A few months back I did a brief tribute https://roberthorvat30.wordpress.com/2014/07/04/lamericain-2/ but I hope to write some more cycling articles in the future. In terms of the turn of the century stuff I did a blog last year called Le Tour de France not in this war http://roberthorvat30.wordpress.com/2013/07/23/le-tour-de-france-not-in-this-war/ I hope to expand of it significantly as a article for my ww1 blog also in the future. 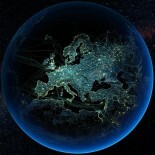 Keep up the great work on your blog Aaron ! Those few minutes of film when Lemond realised he’d won and Fignon that he’d lost is one of the great moments in sporting history. If it weren’t for the shooting accident I’m convinced he would have been a 5 times winner. Stumbled upon your blog. I am the great great grand daughter to Charles Connah. He came to Canada in 1910 with his 6 children. He continued to cycle in Canada. Family stories say he cycled some 300km to file his homestead and It remains in our family. Thank you for your article. This entry was posted on September 26, 2014 by aaroncripps in Britain, Cycling, History, Nineteenth Century, Wales, Welsh and tagged Charles Connah, Cycling, Cyclist, Cyclists, North Wales, Rhyl Cycling Club, Welsh History.